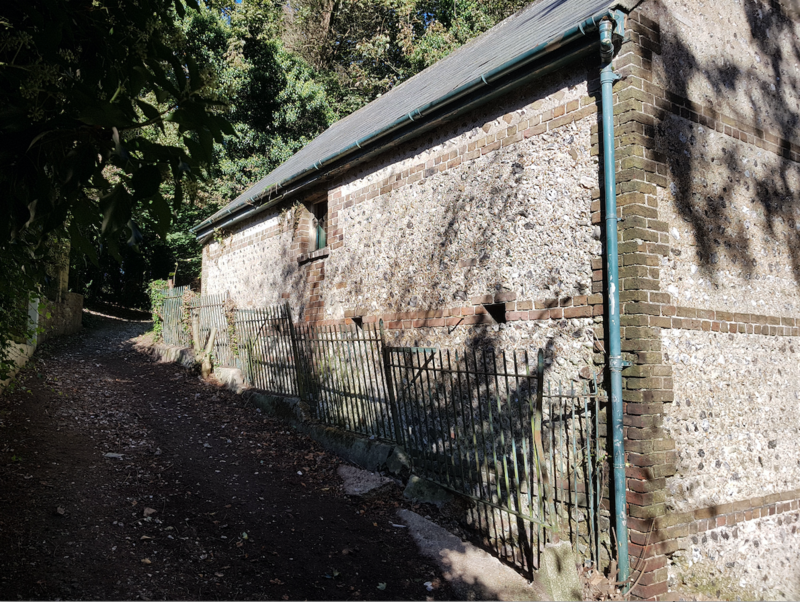 Campaigners are protesting about a historic barn in Upper Roedale off Ditchling Road for which a planning application has been submitted for a change of use and to convert the barn into a house including extensions. The problem is that because of its remote location, few people were aware of this historic barn’s existence – except crucially, the City Council who previously owned it, and should, one would have thought, been aware of its unique historic character and value. The barn is in virtually original condition and was built in the 1870s. It is probably the last remaining of its type in the city. But it has slipped through the net and is neither listed, nor locally listed, nor in a conservation area, so it is vulnerable to any unsympathetic proposal to redevelop it as a house. But the problem is – that is exactly what has happened. The design of the conversion will destroy the existing charm and historic character of the barn. And its vulnerability is made worse because very few people live nearby and even fewer people even know about it. And in order to ensure the planning application can go before the planning committee at least five objections are required. 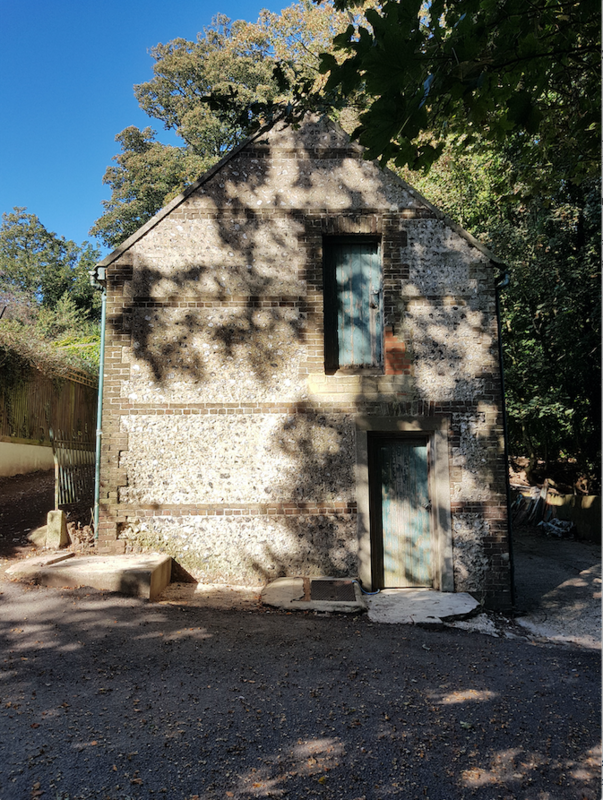 The Brighton and Hove Heritage Commission has made a listing application to Historic England for the property. 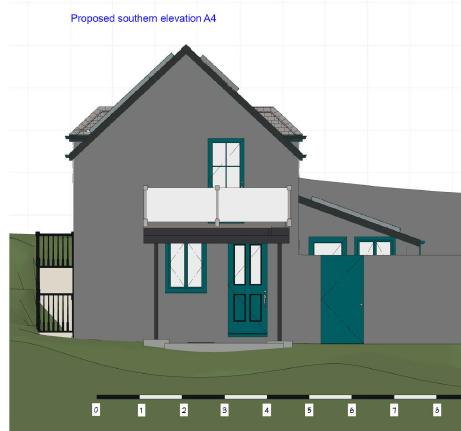 They quite rightly point out that the proposed alterations to the barn are out of keeping with this historic barn and do not reflect its character, and say that a high boundary wall is proposed for the southern boundary which looks out of place in a natural landscape. They also suggest that there should have been an environmental assessment carried out as part of the application. They also comment (again quite correctly), that the design looks like something more suited to a modern housing estate rather than reflecting the history , character and age of the building. 1. The building previously council owned, deserves being listed and was missed off the compilation of the local list which is now closed. 2. 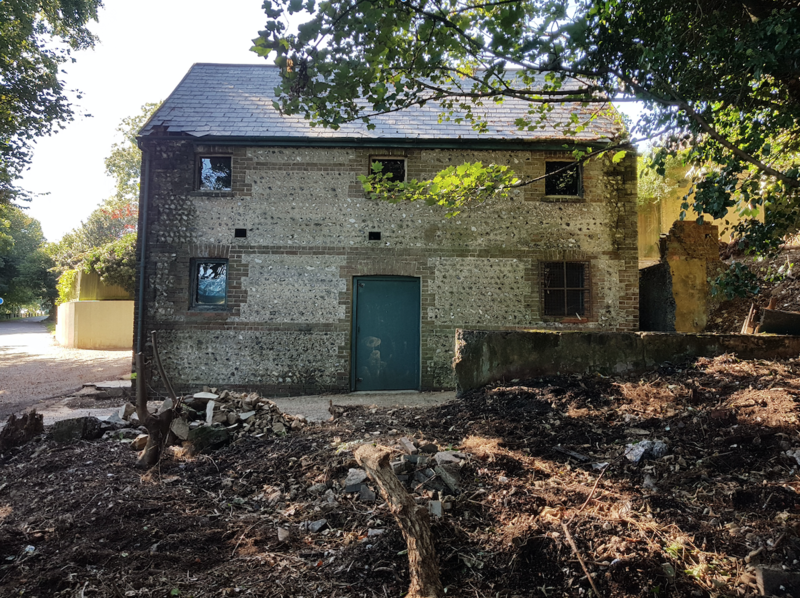 This historic barn, stables with a hayloft of the 1850-60’s originally forming part of the estate of Harrington Farm and the Roedale Model Dairy Farm is unaltered on its outside since it was built, save the removal of the wooden ground to first floor outside stair case. 3. 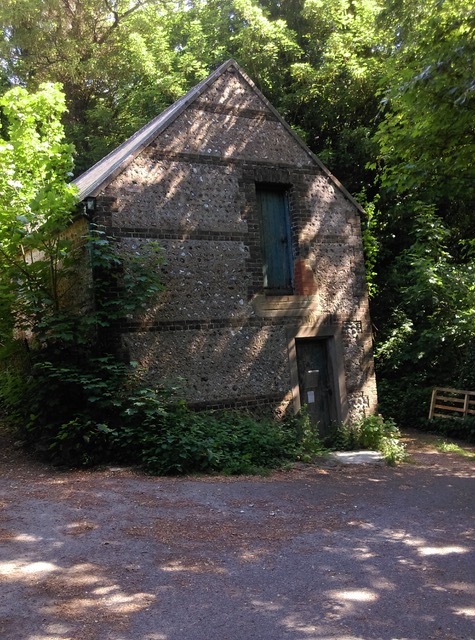 The proposals and alteration change the whole nature of this “one off” flint and brick historic structure, set in a beautiful wooded setting. 7. The proposed building of an ill planned extension destroys the view of the well balanced east façade which is unacceptable. 8. The creation of a perimeter wall also will change the whole nature of this very attractive little agricultural building on its south and east sides. 10. A much more sympathetically designed conversion should be put forward to maintain the integrity of this heritage asset of the city. The existing barn is neither listed locally listed nor within a Conservation Area, yet it is a building of considerable historic interest and value which was missed when the local list was reviewed. As the barn was previously owned by the Council this omission is particularly relevant and it seems to us that the Council should now make up for its apparent neglect of the value of the building, by taking appropriate measures now to protect its character before any irreparable damage to it is done. 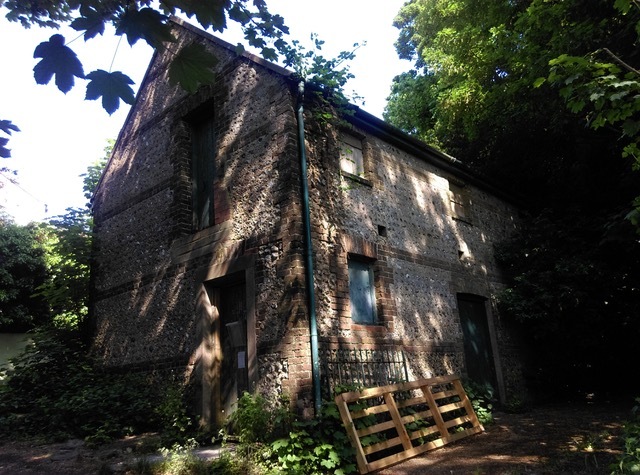 This lack of recognition in the past, together with the remote location of the barn, makes it particularly vulnerable to any unsympathetic alterations which would destroy its existing character and its conservation and historic interest. But the current planning application will do precisely that. 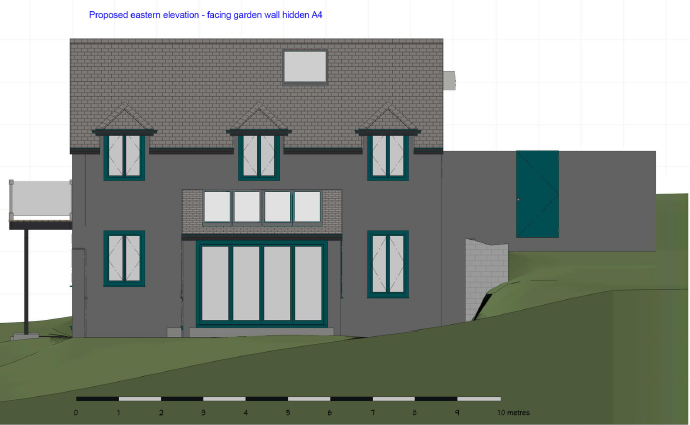 The design is extremely unsympathetic to the existing character of the barn in terms of its existing simple and attractive form, the disregard the design shows for the existing materials of brick and flint, the proposed suburban style new dormer windows, and the low pitched roof front extension, all of which will have a severely detrimental effect on its character and conservation value. The existing barn has remained substantially unaltered since it was first built, and any new proposals must respect the unique quality that this historic fact contributes to Brighton’s built heritage. A much more sympathetic design is required and the existing proposal must be rejected. Because of its remote location very few people live close to the barn. This adds to the vulnerability of the building, as consequently the proposal is likely to attact very few objections – perhaps less than the five objections required for the application to go to the planning committee – which the Brighton Society considers it should do because of its particular vulnerability. This partially results from the Council’s failure in the past – as a previous owner – to recognise the historic value of the building. It is a special case, and the Council has to take some responsibilty for the current unsatisfactory situation.